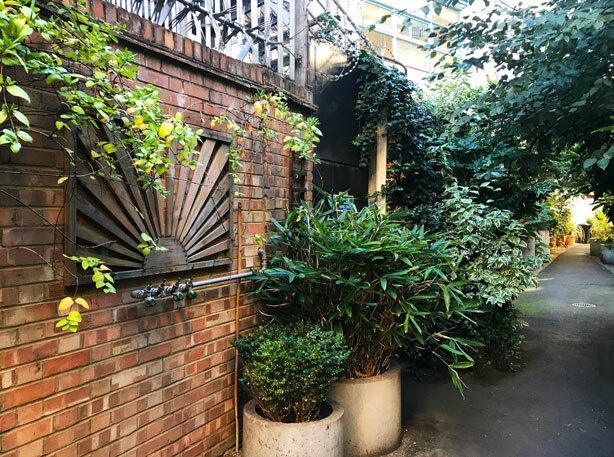 You won’t accidentally stumble onto Gibbons Rent, a tiny narrow cut through between Magdalen and Bermondsey Streets in London SE1. 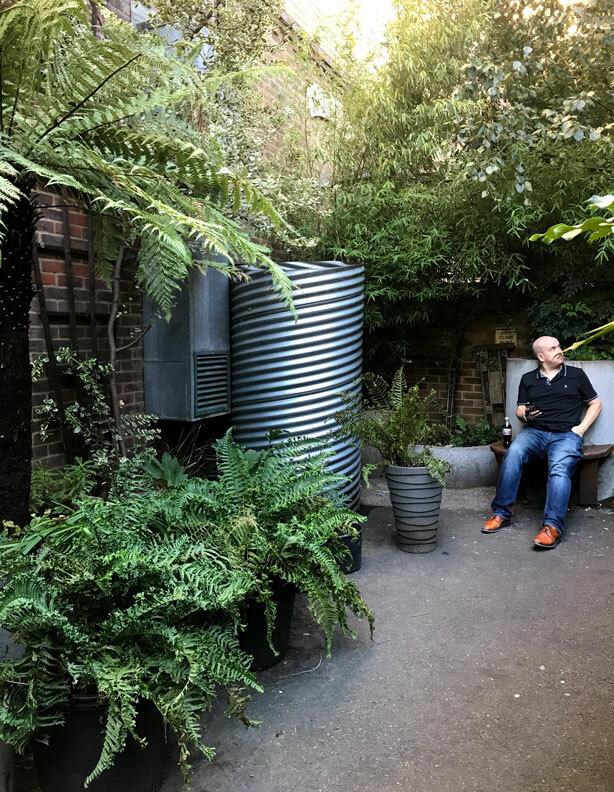 Tucked away in the shadow of the towering spire-like skyscraper known as The Shard and close to the busy London Bridge train station, the garden is so obscure that even my cab driver could not easily locate it with the GPS. 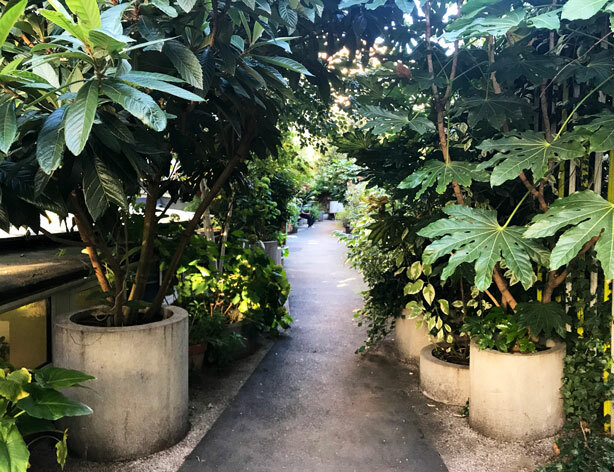 As I entered, a soprano’s high-pitched vibrato resonated in the distance and grew more pronounced the further I walked, rising in a crescendo to a finale as I reached the end of the garden. 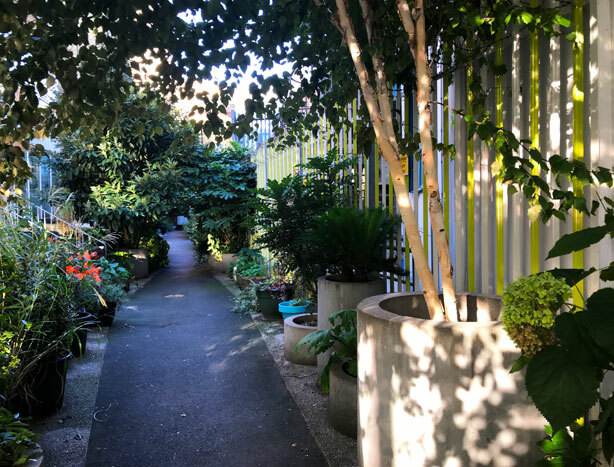 In 2012, award-winning British landscape architect Sarah Eberle and Australian architect Andrew Burns transformed the previously neglected passageway into this lush community garden. 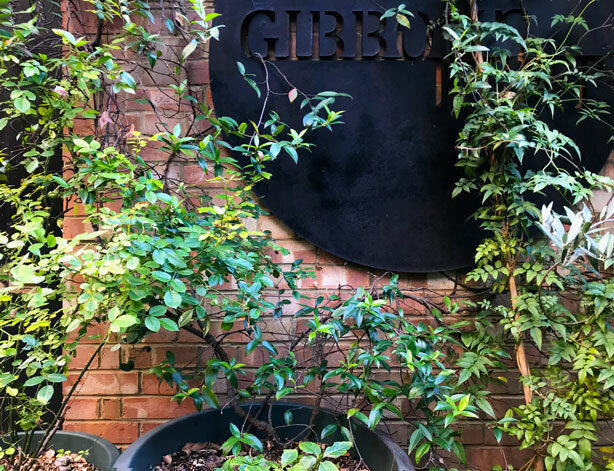 Working with The Architecture Foundation, Team London Bridge and Southwark Council, the team designed Gibbons Rent as participatory project, soliciting input along the way from public and private sectors, various international designers, and local residents. 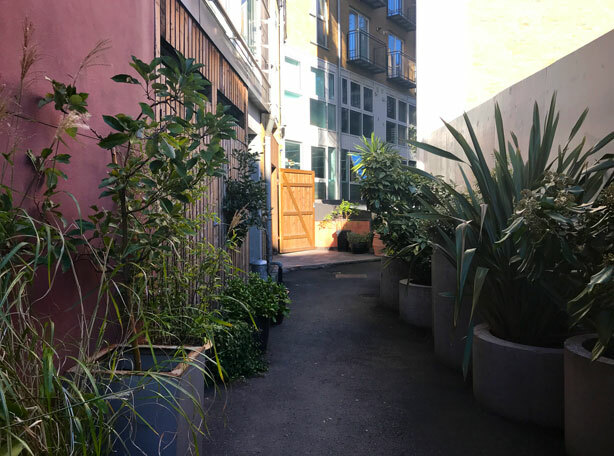 The result is an interactive evolving space nurtured by area residents and businesses and maintained by neighbors and the St Mungo’s Broadway horticultural initiative, Putting Down Roots. 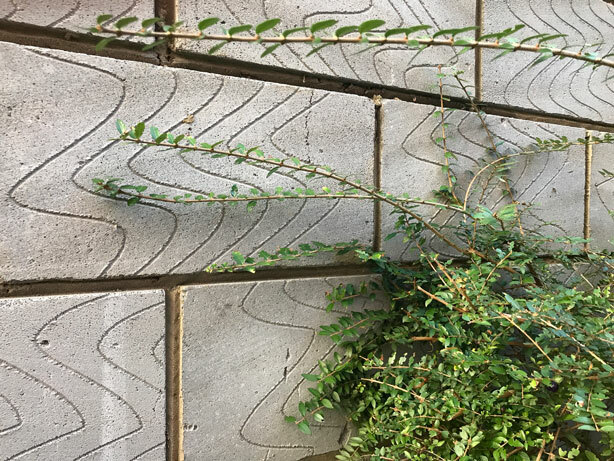 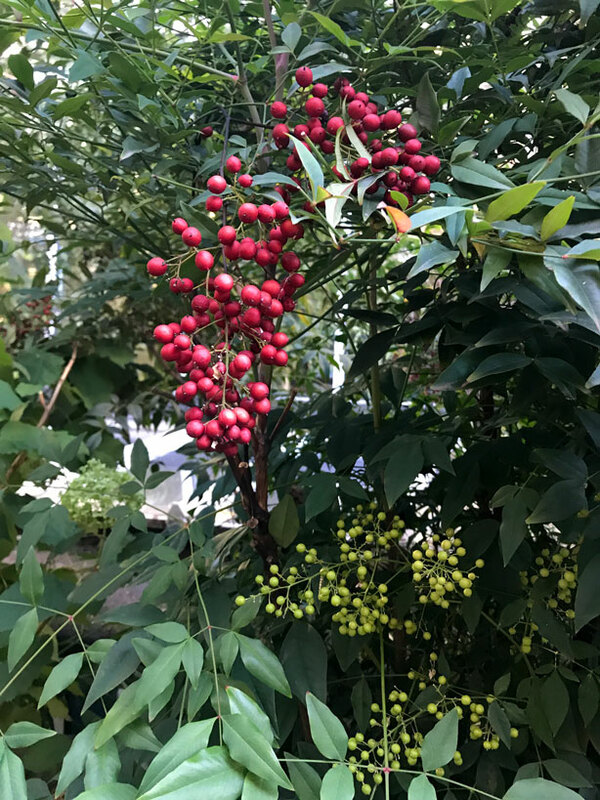 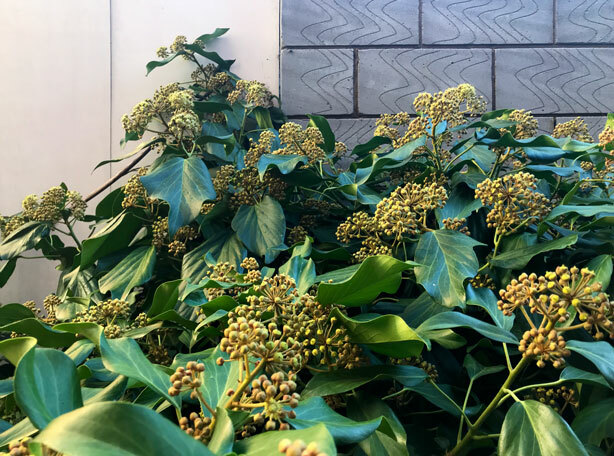 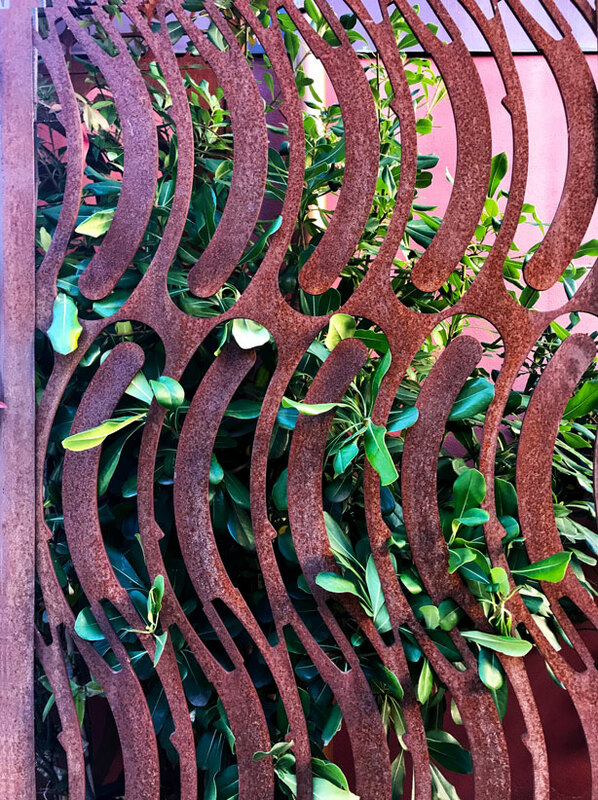 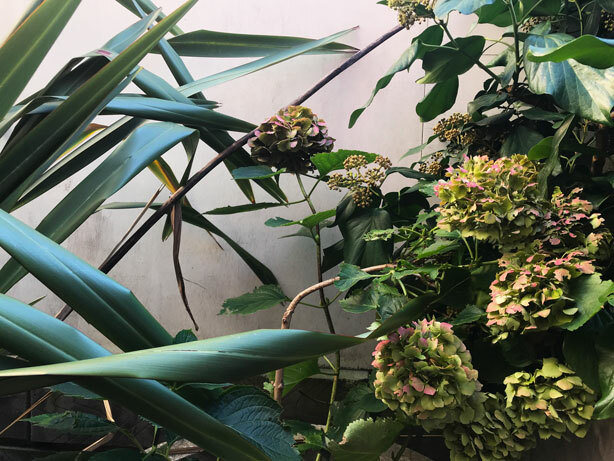 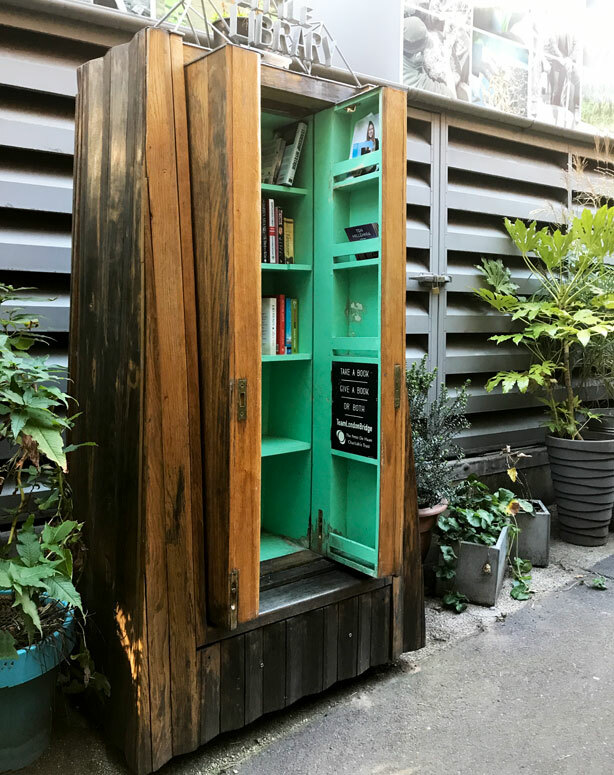 Open to the public–if they can find it–the tiny urban oasis features structural plantings contrasted by smaller scale potted plants and the ‘Little Library,’ a small telephone booth size open cupboard filled with books. 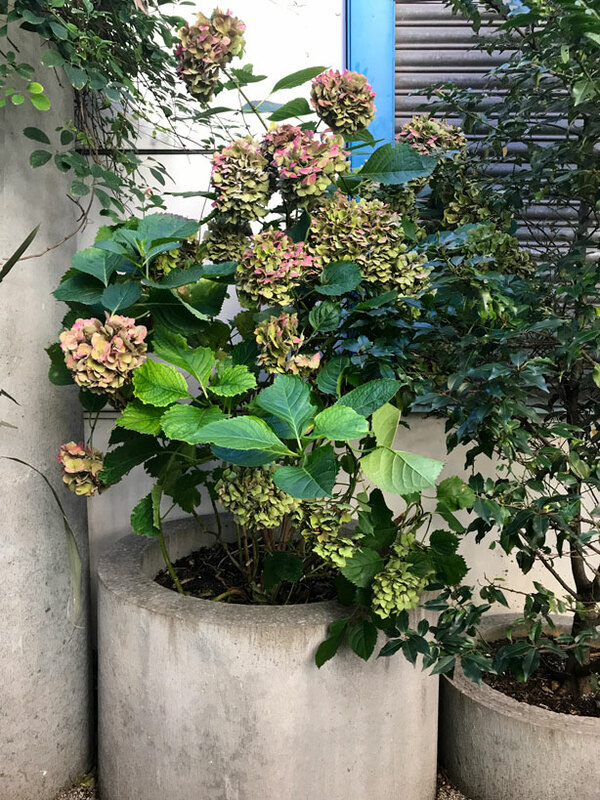 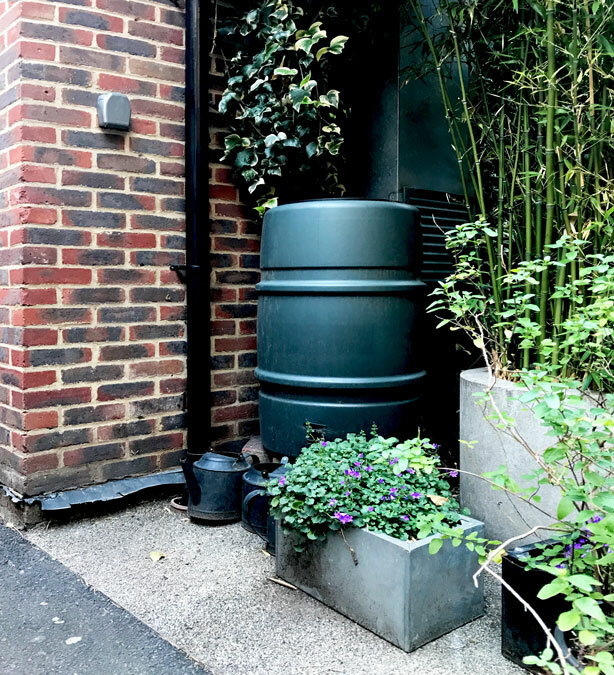 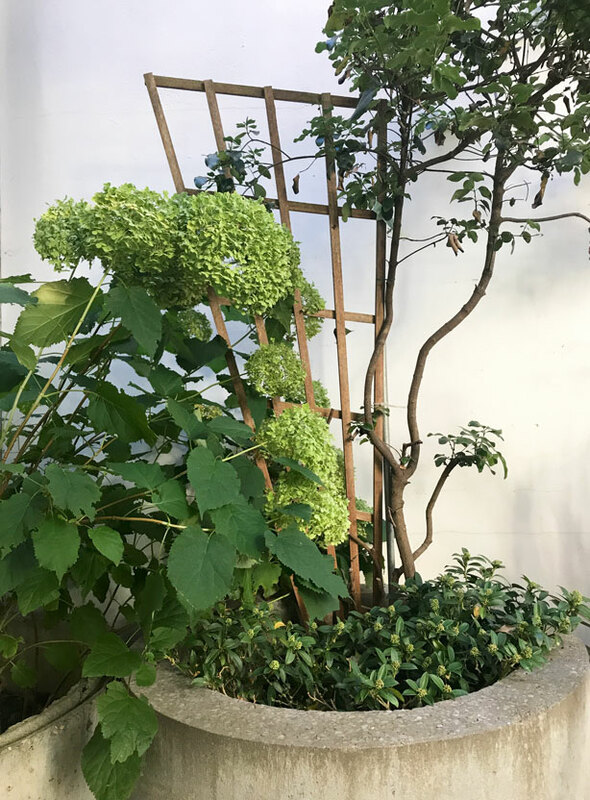 A series of large concrete planters with various exotic plants line the edges of the narrow space along with pots placed by locals at their whim to suit their aesthetics and the seasons. 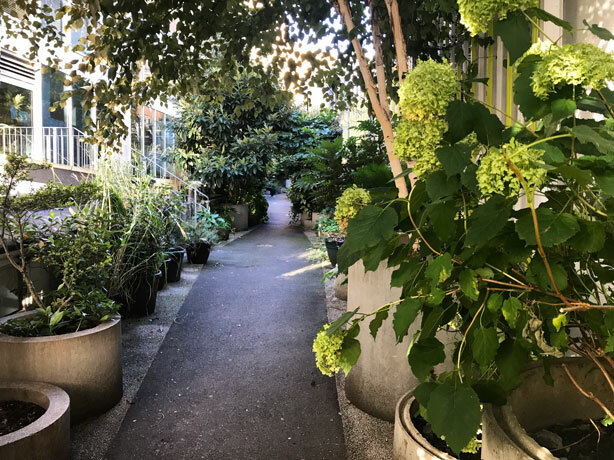 Out of a once barren urban space, a community of gardeners has cultivated a permanent shared green refuge, a growing legacy squeezed innocuously inside a bustling cityscape. 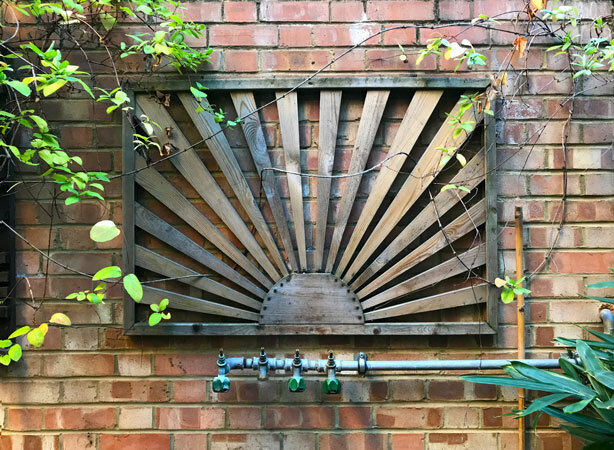 Gibbon’s Rent won the Society of Garden designers ‘Designing for Community Spaces’ Award 2013. 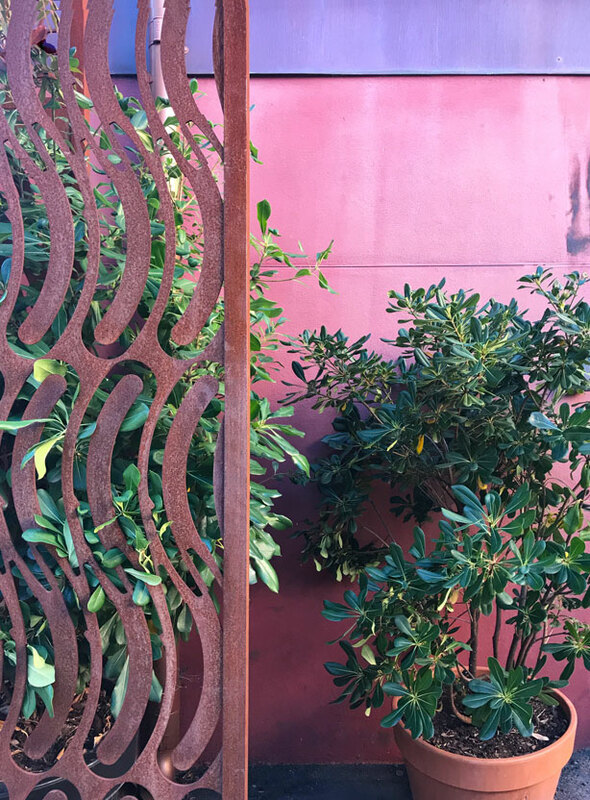 Photos by Robin Plaskoff Horton, Urban Gardens.